Boasting the largest festival of its kind, 180 producers in one place over 3 days (Feb 24-26), the Cellar Door Festival is again here and taking base at the Adelaide Convention Centre. Adelaide Food Central was kindly invited for an intimate preview of some of the wineries that would be involved this year. 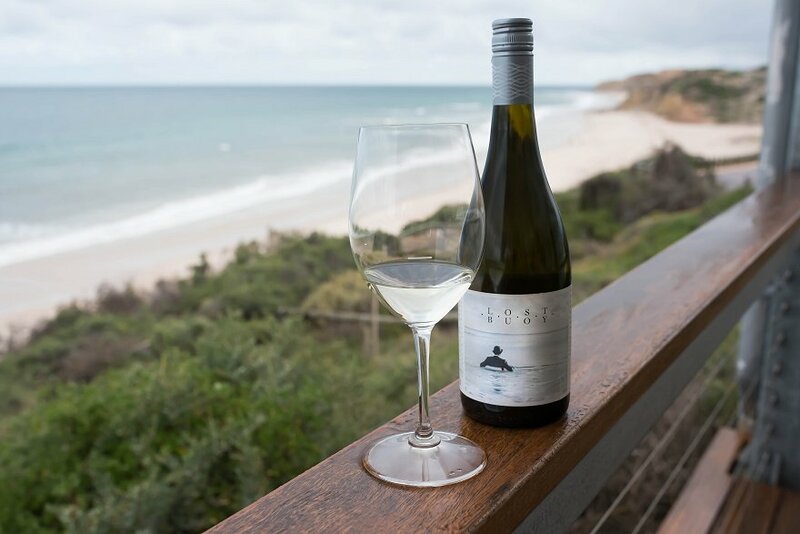 How can you not marvel in the wines of a vineyard spread across 14 acres of land sitting on a cliff face overlooking Port Willunga beach. The shining factor associated with these wines derives from the location, with the winsome sea breeze and ocean front property that exposes the vineyards to the natural sea salt whilst also being set on limestone soil, the natural flavours this location offers to the grapes makes for something a bit different yet totally enjoyable! The wine list is generous from Sauvignon Blanc to premium Shiraz and will unquestionably satisfy the tastebuds of white and red wine drinkers. As of yet Lost Buoy Wines don’t have their own cellar door but the cellar door fest is a great opportunity to experience tastings from this gorgeous label as they are sure to impress. Be sure to check out their Grenache, which boasts a “dirty pinot esc character” and has been a best seller for them, when you try it, you’ll understand why. What an experience from start to finish. The restaurant itself is set in close proximity to the vineyards, unlike others, you can practically reach an arm out and touch a vine, when seated outside. The allure this offers is unlike most, as you have an undisturbed perfect view from your table all year round and can clearly see where the beauty of these wines begin. 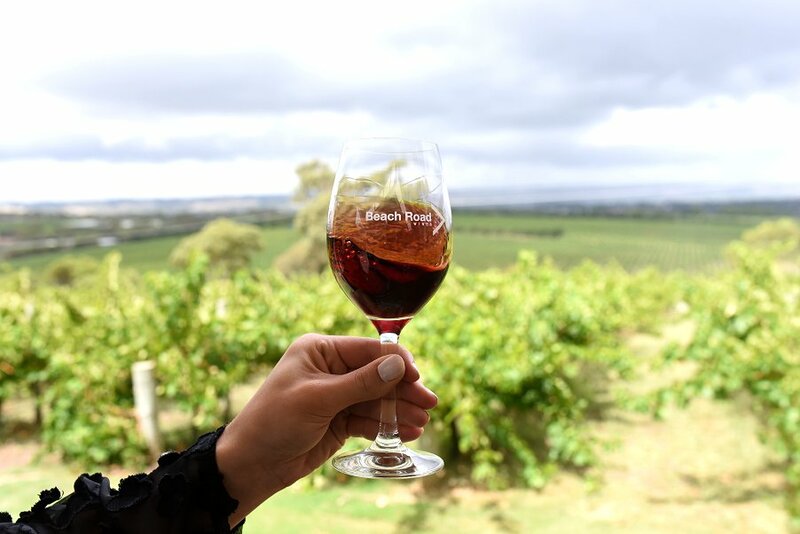 We were treated to an amazing experience that Beach Road Wines is extending to the Cellar Door Festival, the ‘long late lunch with Beach Road Wines’. This experience is a long table, intimate dining experience, and the preview we experienced, was stunning. Four wines were presented, 2 white, a rose and a red, and a tantalising food platter incorporating 4 elements tailored to each wine. As each wine was explained the accompanying dish to the specific wine was introduced and whilst it was not only perfectly paired and complimentary to each other but both the wines and the dishes could easily stand alone. This is Beach Road Wines first cellar door fest and even if you’re unable to go along to their dining experience, I would highly recommend going and having a taste of their gorgeous selection of wines, which will not disappoint. A little bit of Italy in South Australia. This label has been a family run business since 1970, drawing inspiration from their european background and the traditional Italian way of making wine. 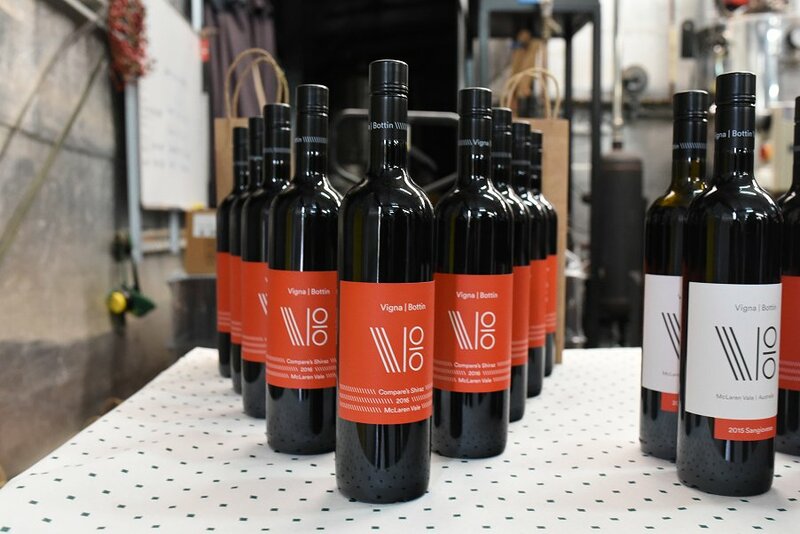 They have developed their label over 10 years and adapted the same ideology of Italian wines into the amazing modern alternative varieties they create in McLaren Vale. This family business is centred around family and coming together over a meal and of course WINE! They extend they’re family to everyone, and are offering the chance to anyone who joins their database or as they like to call it “la famiglia” (the family), the opportunity to go into a draw to win a traditional Italian style lunch for 4 hosted by the makers and their family. 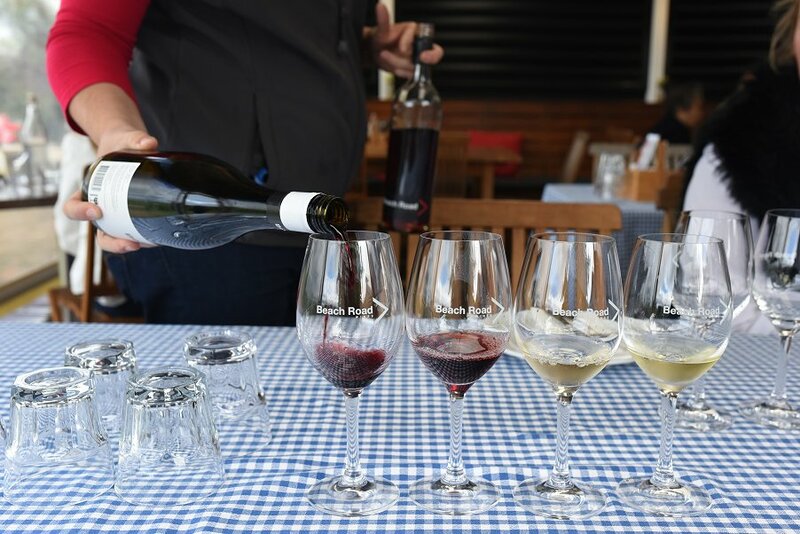 Whilst at the moment they don’t have their own cellar door, the wines they create must be experienced. Their wines range from a Vermentino to a Barbera and everything else in the middle. The Fiano, being a gold medalist at the McLaren Vale wine show last year is definitely one to try. However it was their Rose (Rosato) that won me over, it has a perfect balance and is something you could easily drink a whole bottle of, so I highly recommend if you’re able to try it, do it! Moreover, if you purchase 6 or more wines from this label at the Cellar door fest, you go into a draw to win a dinner for 2 at the owners favourite Italian restaurant. Regardless of the amazing incentives to go and check out this label, the wines themselves are fantastic and you’ll undoubtably find one that suits you. A unique brewery experience. 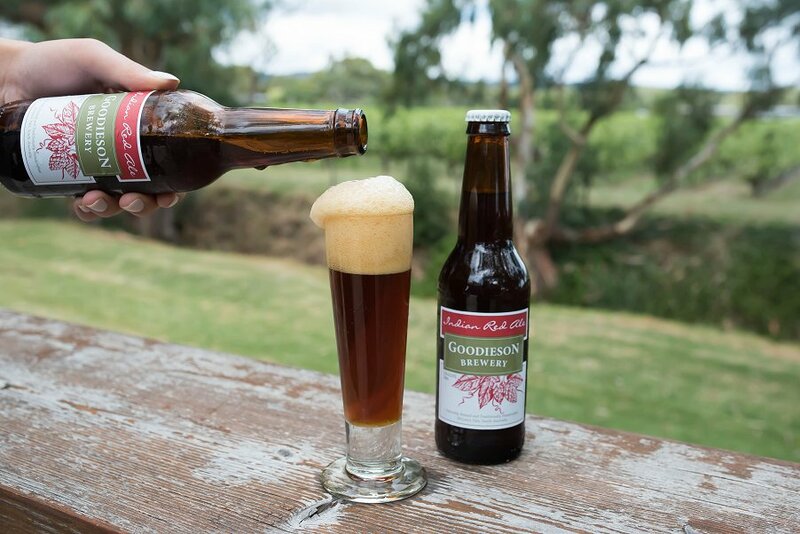 This family owned brewery is not only a wonderful place to stop in and take in the amazing surroundings as its nestled amongst the vines in McLaren Vale, but it truly offers some unique and fantastic handcrafted beers. The brewery boasts it commitment to using traditional techniques whilst making sure no preservatives or additives are added to their brews. What makes this brewery a bit different and a bit special is, as their beers are all made on site, giving them the unique ability to create different varieties of beers in a short space of time. Whilst they have their range of base beer’s such as; pale ale, pilsner, wheat beer, brown ale and red ale, available all year around, they also have seasonal beers such as their; maibock, christmas ale, autumn ale and stout, available seasonally. Additionally (Yes there is even more !! ), they also create special brews such as raspberry beer and also a lemon beer, both being uniquely amazing, and are a must to try, even for those that may not be big beer fanatics, you’ll be sure to find one of their unique blends that tickle your fancy. These guys have won best small brewery twice in South Australia and once you’ve tried their brews its not hard to see why. Make sure you get down to the Cellar Door Festival, where you can experience the best of South Australia’s wineries and breweries. Its also a great opportunity to have a more personal experience with the producers that don’t have cellar doors and delve deeper into where some of our states best beer, food and wines are made. 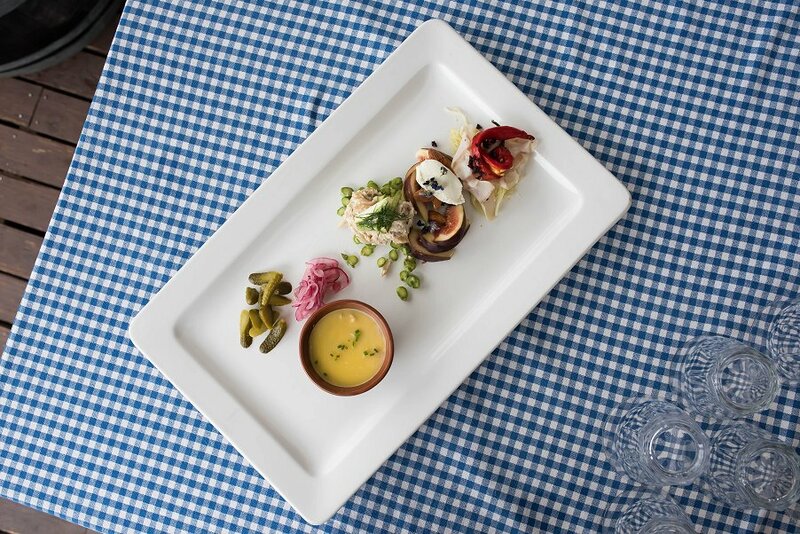 Cellar Door Festival is the place where you can experience what our best have to offer all under one roof in what is truly promised to be a tantalising food and wine experience.